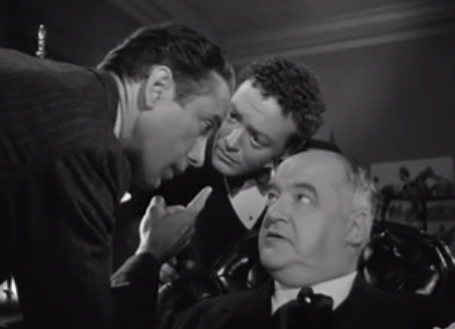 This entry was posted on April 14, 2015 at 10:40 am and is filed under FILM with tags Limerwrecks, MGM, Peter Lorre, schinkenworter, Sidney Greenstreet, The Chiseler. You can follow any responses to this entry through the RSS 2.0 feed. You can leave a response, or trackback from your own site. Very controversial — and to my knowledge never used again. There seem to be variations on that logo so it may have cropped up on other 1968 releases. But I’ve never seen the film projected with that logo, to my knowledge. I deplore the subbing in of modern logos and the removal of authentic ones. Really? As far as I know it was only on “2001” — which I saw 10 times in Cinerama back in 1968. It’s really nice. Even better than Saul Bass’s Warner logo which often gets omitted from Barry Lyndon and Clockwork Orange.